While parent company Huawei is gearing up to launch the Mate 20 lineup at an event on 16 October in London, its sub-brand Honor also appears to be getting ready to announce the Honor 8X in India on the same day. 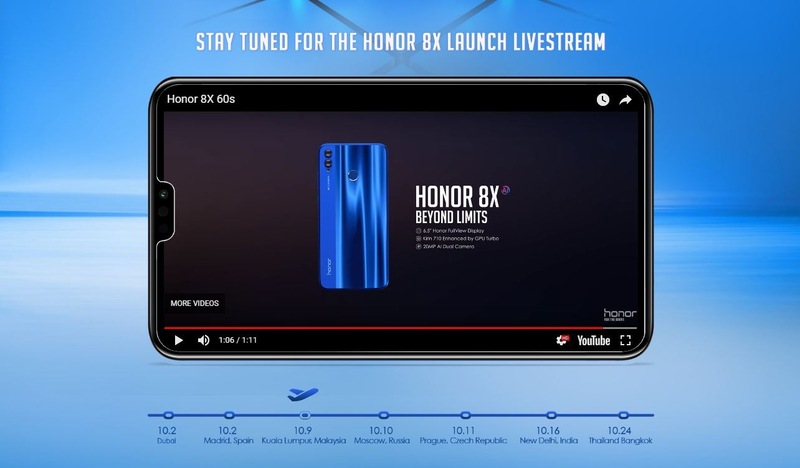 Honor India, meanwhile, has not confirmed the date yet, but Honor's global website seems to have given the news away already. The website shows a timeline of dates revealing launch dates across the world, including India. The website also reveals that the launch event will take place in Delhi. 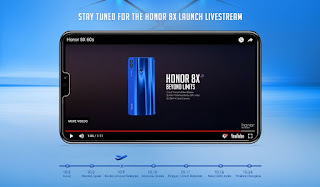 In terms of specifications, the 8X features a large 6.5-inch FHD+ display with a notch similar to the one on the Honor Play and the Honor 9N. The phone also features Huawei's HiSilicon Kirin 710 chipset clocked at 2.2 GHz. Back in China, the 8X was launched in three storage and RAM combinations — 4 GB RAM + 64 GB internal storage, 6 GB RAM + 64 GB storage and 6 GB RAM + 128 GB storage. The phone was announced in two colours — Magic Night Black and Charm Blue. In terms of optics, the Honor 8X features a 20 MP + 2 MP AI-enabled rear-camera setup and a 16 MP camera for selfies. The phone also features a 3,750 mAh battery unit and runs on Android Oreo 8.1-based EMUI 8.2. 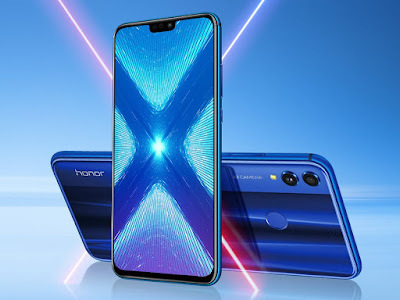 Going by China pricing, the Honor 8X is expected to set you back about Rs 20,000, putting it right into Honor Play and Poco F1 territory.